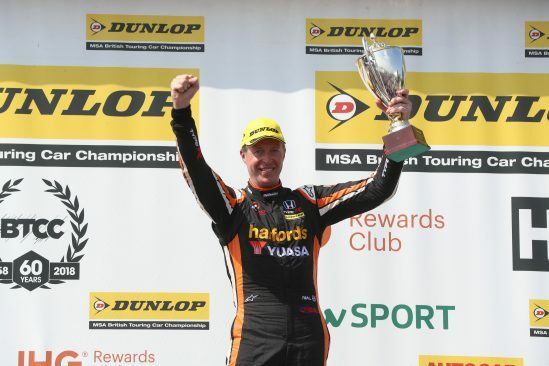 Halfords Yuasa Racing driver Matt Neal continued to prove the title credentials of the new Honda Civic Type R by claiming his third podium in five races during the Dunlop MSA British Touring Car Championship event at Oulton Park (10 June). 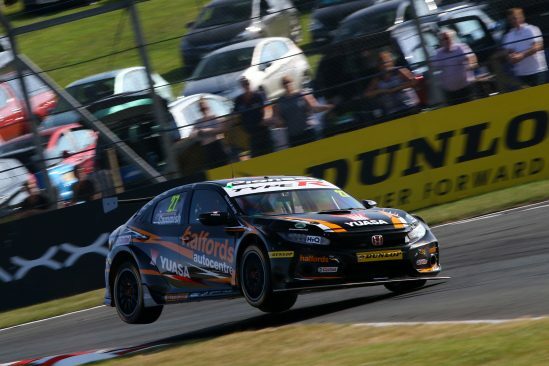 Beginning the weekend with 33kg of success ballast, the Halfords Yuasa Racing driver remained towards the sharp end by qualifying a fine fifth position for the first of three races around the challenging Cheshire circuit. Holding firm from the lights, Neal brought the Civic Type R home in the same position to collect valuable points for both himself and Honda. With a renewed opportunity to strike in race two from the same grid slot, Neal produced a gutsy performance to progress up the order in pursuit of the rostrum. 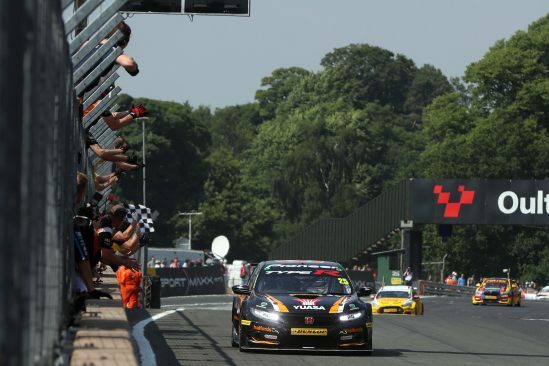 Scything his way into third position by lap five, Neal continued to push before pouncing on Tom Chilton to secure second place and the team’s fourth podium of the 2018 BTCC season. Starting the reverse grid race three from sixth, Neal rallied hard initially but an off in the heat of battle forced him back to an eventual 14th position. Regardless, Neal remains poised in the BTCC Drivers’ championship battle, sitting in sixth position and only 26 points adrift of top spot. Tackling Oulton Park at the wheel of the Civic Type R for the first time, Dan Cammish qualified 13th and fought hard across the three races in a closely-matched field. Crossing the line 14th in race one, Cammish progressed to 12th in race two before a puncture early in race three scuppered his hopes of a stronger end to the weekend. Cammish’s results see him return to the top of the Jack Sears Trophy and consolidate a top ten position in the overall Drivers’ standings. 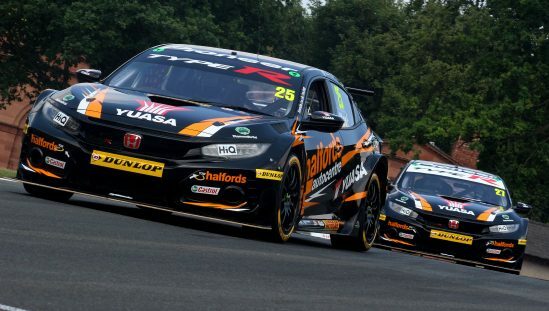 Today’s significant points haul keeps Honda in the hunt for the Manufacturers’ Championship, while Halfords Yuasa Racing remains second in the Teams’ standing heading next to Croft on 23-24 June.